The perfect way to use up our leftover Christmas turkey. 1. Spread 1 tablespoon of mayonnaise on each tortilla. 2. Add some spinach, turkey and a tablespoon of kimchi, then sprinkle with crumbled feta cheese. 3. 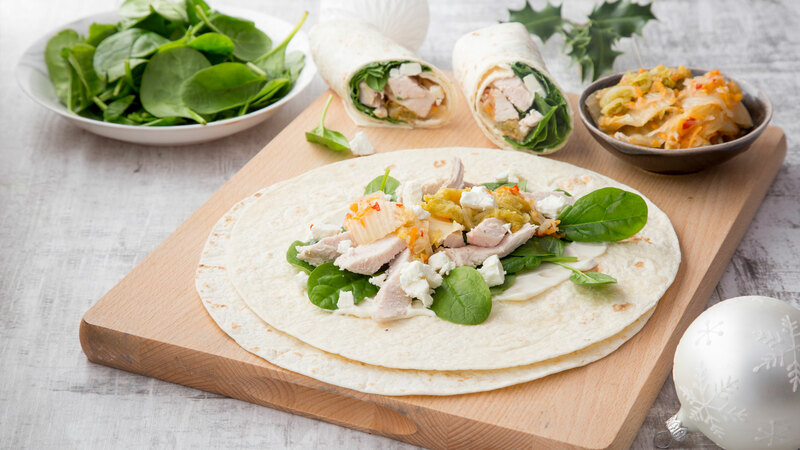 Roll the wrap up tightly and cut in half on the diagonal to serve.